Prof. Lital Kein-Boker presents new National Cancer Registry statistics on two types of cancer: testicular cancer in men and ovarian cancer in women as well as up-to-date overall incidence (morbidity) and mortality statistics as per 2013. Over the past 50 years, the number of patients diagnosed with cancer has increased 5-fold and the number of survivors has increased 9-fold; this is good news, but it requires unique preventive measures. Testicular Cancer - morbidity shows an upward trend, however the mortality rates are very low, also due to the fact that over 70% of patients are diagnosed at an early stage with a lump in their testicle. This is also by virtue of the fact that the disease may be effectively treated also at more advanced stages. Ovarian Cancer - morbidity shows a downward trend, however mortality rates are high compared to morbidity rates, due to the fact that two thirds of the patients are diagnosed at an advanced (metastatic) stage. UICC launches new campaign upon the approach of World Cancer Day "We Can. I Can." The Union for International Cancer Control (UICC) indicates on the approach of WCD that over 8 million people will die from cancer worldwide this year, a number similar to the population of a large city. Half of these people will still be in the workforce (aged 30 to 69 years). It is estimated that cancer diseases and NCDs will have economic repercussions for countries across the globe amounting to 47 trillion dollars, if no action is taken to reduce the anticipated increase in the number of cases over the next two decades. The slogan of the WCD campaign 2016: "We Can. I Can. ", presents a unique opportunity to draw attention to what we can do to save millions from preventable death on a global, national and individual scale, thereby saving lives while supporting economic growth and progress. Implementing vaccination programs that prevent infections causing cervical and liver cancer. Providing access to early detection tests and screening programs for cervical, breast, and colorectal cancer, as well as to optimal treatment for patients. Raising taxes on tobacco, enhancing legislation and enforcement. Providing pain management and palliative care for cancer patients who are in need of such services. "I Can": it may be deduced that over a third of cancer cases may be prevented by adopting a healthy lifestyle. The UICC calls upon individuals to assume responsibility for reducing their risk of contracting the disease. Simple means such as smoking cessation, reducing red and processed meat intake, engaging in regular physical activity and reducing alcohol consumption, constitute a first line of defense. If we add to this the common diseases in the Western world, as well as in Israel, which may be detected at an early stage, we may significantly improve cure rates and reduce mortality rates by over 50%. WCD 2016 is the opportunity to remind everyone of what each person and each country can do to reduce the tremendous global human and economic burden imposed by cancer worldwide. UICC messages appear on ICA's website and Facebook page. In 2013, 169 new patients were diagnosed: 136 Jewish men, 28 Arab men, and 5 'others' (non-Arab Christians and men who are not affiliated with any particular religion). In incidence rates (morbidity) for testicular cancer, there has been a continual upward trend throughout the years, both among Jews and Arabs. Among the Jewish population, there has been a 65% increase from 2.75 in 1990 to 4.54 in 2013. Among the Arab population, there has been a 3-fold increase from 0.98 in 1990 to 3.13 in 2013. Among the Jewish population the upward trend has become moderate. 74% of the patients were diagnosed with an in situ (early stage) tumor, and 3% with a metastatic tumor. The risk factors for this disease include: young age, testicular torsion, failure of testicular development, fertility problems, a family history, white race, intra-uterine exposure to DES (synthetic estrogen) and other factors. The status report in Israel is similar to that of the world, and the reasons for the increase in testicular cancer morbidity worldwide are unclear. The hypotheses refer to a combination of genetic and environmental factors. As a result of early detection, the number of deaths has been reduced, and in 2013 amounted to 4 Jewish patients, 0 Arab patients. Israel does not count among the world's 20 leading countries in testicular cancer morbidity and mortality. The highest morbidity rates were observed in Norway and Switzerland. Please click here to view additional information on testicular cancer. 316 Jewish women, 31 Arab women, and 14 'others' (non-Muslim Christians and those who are not affiliated with any particular religion). About two thirds of ovarian cancer patients are diagnosed at a metastatic stage, and therefore, mortality rates are high relative to morbidity rates. Risk factors for the disease include: older age, obesity, obstetric history, hormonal causes and more. In 2013, 276 women died: 251 Jewish women, 13 Arab women, and 12 'others'. The incidence (morbidity) rates have shown a continual downward trend among Jewish women since the mid-90s. Among Arab women, an increase was observed until the early 2000's, and since then there has been stabilization. The mortality rates have shown a continual downward trend among Jewish women since the early 90s. In Arab women, an increase has been observed, and from the mid-2000's, there has been a downward trend. Israel does not count among the 20 leading countries in the world in morbidity and mortality rates. The highest morbidity and mortality rates are observed in the Fiji Islands and Latvia. The status report for Israel is similar to that of the world. 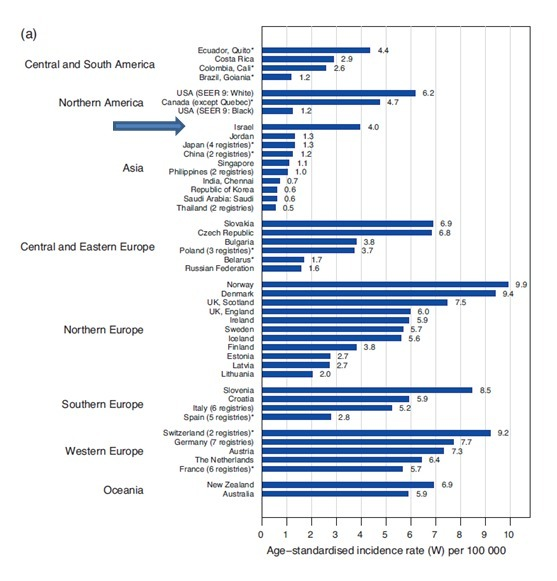 Worldwide ovarian cancer incidence is on a downward trend, which is attributed to a sharp decrease in the administration of alternative hormone treatment, increased contraceptive use, as well as, perhaps, preventive ovary removal among genetic mutation carriers. Please click here for more information about ovarian cancer. In 2013, 29,779 new patients were diagnosed in Israel, 25,531 were diagnosed with invasive cancer. In Jewish males, prostate cancer morbidity is higher compared to other cancers, whereas among Arab men, lung cancer morbidity is higher. In Jewish and Arab women, breast cancer constituted a third of all malignancies. Morbidity rates are higher among the Jewish population (in both sexes) as opposed to the Arab population. The morbidity rate in Jewish women (278.2) was higher than that of Jewish men (253.2). The trend in morbidity shows a decrease in the Jewish population, starting from the mid-2000s and in the Arab population, there has been a decrease since the end of the decade, with stabilization in recent years. In 2013, 10,698 patients succumbed to cancer: 9,317 Jewish patients, 917 Arab patients, and 464 'other' patients. Mortality rates show a downward trend in the Jewish population and in the female Arab population. In the male Arab population, rates are stable. Israeli men are in 19th place both in morbidity and mortality, and Israeli women are in 15th place both in morbidity and mortality. For more detailed information please see the attached file. Dr. Zohan Dotan has emphasized the importance of contacting a physician as soon as a lump appears and the known risk factors. 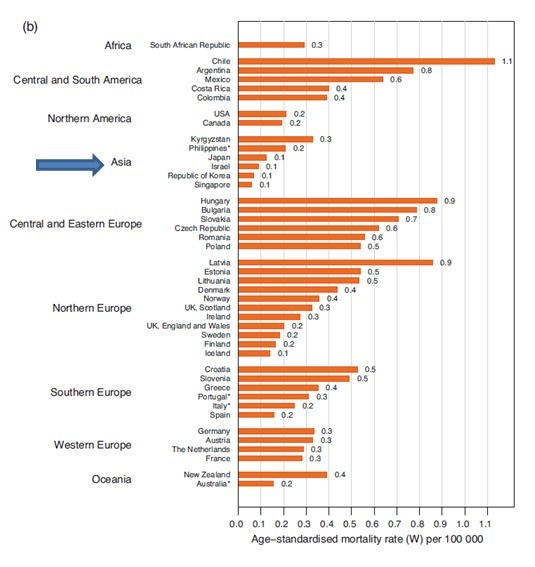 He has presented statistics from an international study dating from 2014, according to which, in Israel, alongside incidence rates (the number of new patients per year), there are also the lowest mortality rates in the world. This is a fact that attests among other things to effective treatment capacity in Israel. *International Variations and Trends in Testicular Cancer Incidence and Mortality EUROPEAN UROLOGY 6 5 (2014) 1095-1106. ENGAGe, ESGO's European Network of Gynaecological Cancer Advocacy Groups convened a taskforce of leading healthcare professionals and patient group representatives specialized in the care of women with ovarian cancer to review current reality of ovarian cancer management, identify gaps in knowledge and agree on the critical information that every woman needs to know about ovarian cancer. The ICA joined this European network which published a document called 'She Needs to Know'. This consensus aims to consolidate what women need to know about ovarian cancer so that they have the necessary information to ensure that they can make wise decisions regarding prevention, early diagnosis and optimal treatment options. Jewish Ashkenazi women who are BRCA1 or BRCA2 carriers are at significantly higher risk - an estimated 58% - of contracting invasive epithelial ovarian cancer - which originates in the tissue lining the ovary. Dr. Tamar Perri, and other investigators of the Department of Gyneco-oncology at Sheba Medical Center, Tel Hashomer, sought to determine whether BRCA mutation carriers who undergo fertility treatments are at increased risk of developing invasive epithelial ovarian cancer (IEOC), compared to female carriers who have not undergone fertility treatments. The research encompassed data of 1,073 Jewish Israeli BRCA mutation carriers who received onco-genetic consultation at Sheba Medical Center from 1995-2011, and were found to be carriers of one of the mutations in the BRCA1 or the BRCA2 gene. 781 were BRCA1 carriers and 331 were BRCA2 carriers and three of them were carriers of mutations in both genes. 164 (15.2%) underwent fertility treatments with Clomiphene Citrate or gonadotropin (hormones that stimulate the ovaries to produce eggs, by increasing hormonal activity in the pituitary gland) or IVF or a combination of both. And the rest - 909 women who are genetic carriers, did not undergo fertility treatments and served as a control group. Primary ovarian cancer was diagnosed in 175 genetic mutation carriers, 79.4% of them BRCA1 genetic mutation carriers and 18.9% BRCA2 carriers. Upon analysis of factors related to the risk of developing ovarian cancer, investigators found that contraceptive use decrease the women's risk of developing ovarian cancer. Upon a cross comparison of morbidity data to data relating to fertility treatments, it emerges that woman who are BRCA1 carriers or BRCA2 carriers who undergo fertility treatments are not at a higher risk of contracting ovarian cancer, compared to women who do not undergo such treatments. A working group consisting of worldwide leading experts, including Dr. Hagai Levine of the Hebrew University-Hadassah and Advisor to the ICA, have joined forces to attempt to promote a global and local monitoring system (HURGENT) of reproductive health indicators, including specific types of cancer, in order to identify the causes of these diseases. The lack of an extensive database to connect between these factors, has recently led experts hailing from France, Britain, Denmark, Israel, the U.S., Poland, Spain and Finland, to set up an international working group with the aim of collaborating on and promoting this issue. According to the experts, we witness trends that are a cause for concern in Israel and worldwide: Reproductive health indicators which are attributed to a great extent to environmental influences, including cancers that are influenced by hormones, such as breast and ovarian cancer in women, and testicular and prostate cancer in men. Trends that relate to the reproductive system such as: lower sperm count, development of diseases in reproductive organs, etc. are reported in the medical world, and at the same time, data has accumulated on a possible link between these trends and exposure to chemicals that disrupt the hormonal system - EDC's (Endocrine Disrupting Chemicals) such as: plastic products, pesticides, including those for household use, and more). Testicular cancer is the most common cancer in young men and its frequency is on the rise in Israel and in additional countries. 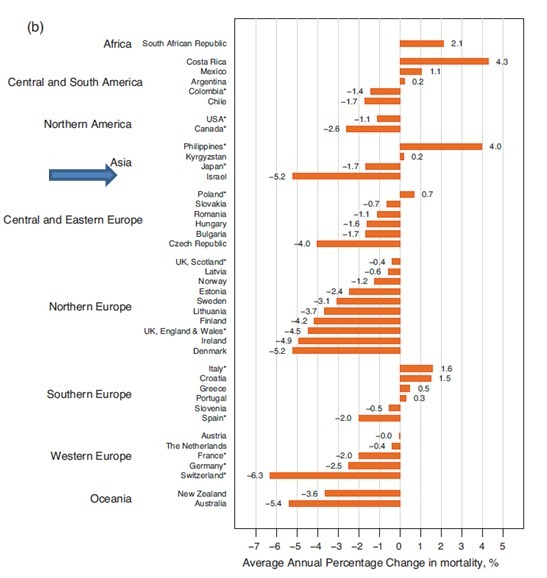 In a previous study conducted by Dr. Levine, it emerged that exposure of the second generation (sons of new immigrants) to the environment and Israeli lifestyle, significantly increases the risk of testicular cancer, as opposed to new immigrants (who have the same genetic makeup) originating from the same countries. Testicular cancer provides a unique opportunity to learn how exposure to environmental factors during the neonatal period (intrauterine life) disturbs the normal development of the male reproductive system. These cases constitute the tip of the iceberg of a prevalent phenomenon of abnormalities that interfere in the development of the male reproductive system, which are manifested in congenital defects in early life, or in fertility problems that are discovered at a later stage. There is effective treatment for testicular cancer, however, the earlier the disease is detected, the less aggressive the treatment, and with fewer side effects. Sometimes patients discover a lump in their testicle, but are too embarrassed to go for medical treatment. Therefore, in the case of a lump in a man's testicle, medical care should be sought immediately. At this stage, the group analyzed the research studies that were conducted up until now, and mapped, based on the most significant scientific evidence, 23 possible indicators that are related to exposure to EDCs, including: prostate and breast cancer, uterine endometriosis morbidity, failure of testicular development, early sexual maturation and hormonal imbalance and abnormalities in the reproductive system. At the initial stage of the group's work, it emergesd that exposure to ECDs is related to a significant number of diseases, and the group's members hope that their work will constitute the foundation for the set-up of the first-of-its-kind global monitoring system to track diseases of the human reproductive system. Later on, these indicators will be evaluated, and data will be collected from the information systems and registries in the countries participating in this working group. The ICA has been selected to receive a $20,000 (USD) grant awarded by the Union for International Cancer Control (UICC) and Pfizer Inc. Pfizer, as part of the Seeding Progress and Resources for the Cancer Community (SPARC): Metastatic Breast Cancer Challenge (SPARC): A first-of-its-kind initiative that aims to address the unique challenges facing metastatic breast cancer patients worldwide. The Israel Cancer Association (the ICA) support groups for metastatic breast cancer patients constitute a source of emotional support, while creating the conditions for reciprocal empathy, to reinforce solidarity and a sense of belonging, alleviate loneliness during the disease trajectory, bolster self-confidence, impart tools to cope with crisis and provide up-to-date information for patients. These support groups are led by psycho-oncology professionals and are held at ICA "Strong Together" Centers in Haifa, Afula, Jerusalem, Givatayim, and Be'er Sheva and at ICA branches throughout Israel. Based on the experience that the ICA has accumulated in Hebrew speaking groups, and with the kind financial assistance of the grant, this important activity is currently being expanded for metastatic breast cancer patients in the Arabic and Russian languages. The Israel Cancer Association has joined the international #NOHAIRSELFIE project which calls on the general public to shave their head, share their #NOHAIRSELFIE and show their support! Hair loss is one of the many side effects, with which cancer patients are forced to contend during their difficult treatments. The NOHAIRSELFIE is a collaborative project between the Union for International Cancer Control (UICC) and the Princess Margaret Cancer Centre aimed at showing solidarity with cancer patients who are undergoing treatments; participants either commit to shaving their hair or a virtual shave. A clip of the moving words of Anat Melamed, a cancer survivor and ICA "Yad Lehachlama" (Reach to Recovery) volunteer, has been uploaded to the ICA website and has gained extensive support. Click here to view the clip. ICA employees and volunteers shared a collage of a virtual app shave on Facebook. 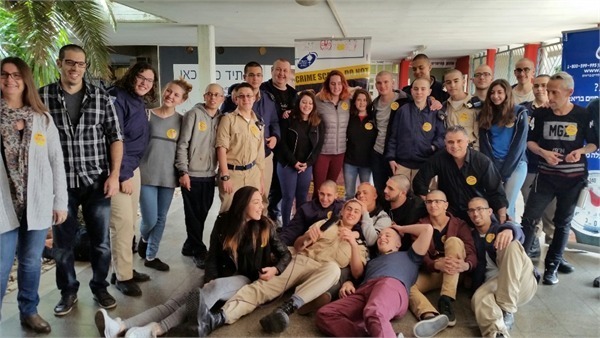 The graduating class of Ort Shapira Kfar Saba joined this project and dozens of pupils and several teachers chose to show their solidarity with cancer patients and shave their hair. Hairstylists from "Aki Noi" Hair Salon in Kfar Saba volunteered to shave the pupils' hair marking World Cancer Day. The pupils opened a donation page to raise funds for the ICA, dedicated to the promotion of cancer research. Pictured: the graduating class of Ort Shapira Kfar Saba and teachers who shaved their hair and showed their solidarity with cancer patients as part of the NOHAIRSELFIE Project. Hairstylists from 'Aki Noi' Hair Salon in Kfar Saba volunteered to shave the pupils' hair to mark World Cancer Day. Does cannabis use increase the risk of testicular cancer? Investigators of the University of Otago in New Zealand evaluated 3 research studies conducted from 1986-2006 and examined the link between cannabis use and the development of testicular germ cell cancer. These studies documented 719 men who developed seminomatous testicular germ cell cancer, which is usually diagnosed in men between the ages of 25-55, as well as non-seminomatous cancer, for the most part diagnosed in men aged 15-35. The control groups consisted of 1,419 healthy men with similar characteristics. The research study participants were asked about their use or non-use of cannabis, duration of use and frequency. The investigators weighted the risk factors for the disease such as: testicular torsion, alcohol consumption and tobacco use, and in one of the research studies, drug use was also weighted, and they found that regular cannabis use, on a weekly basis or more, doubles the risk of developing testicular germ cell tumors. When the data regarding non-seminomatous germ cell tumors was evaluated, it emerged that, compared to men who have never used cannabis, men who have used cannabis had a 2-fold higher risk of developing non-seminomatous germ cell tumors. Regular cannabis use, once a week or more, or use over a ten-year period or more, was associated with a 2.5 fold increased risk of developing this disease. The investigators stress that no link was found between cannabis use and the development of seminomatous testicular germ cell cancer, a disease diagnosed later in life, and raise the hypothesis that it is related to cannabis exposure during puberty. One of the research studies found that those who began using cannabis under the age of 18, were at significantly higher risk of developing non-seminomatous testicular cancer, compared to those who have never used cannabis. On the other hand, those who began using cannabis over the age of 18, were not at a risk of contracting this disease, which may link cannabis exposure and the risk of contracting the disease on the one hand with male sexual maturity on the other. Researchers of the University of Utah, U.S., sought to investigate whether men suffering from fertility problems are at increased risk of developing cancer in general and testicular and prostate cancer, and melanoma, in particular. Similarly, they sought to explore the link between the various causes of non-fertility and the risk of contracting these diseases, and whether the level of risk changes over the years. The investigators worked with data from the University of Utah, from the Population Register, and the healthcare system listings in Utah documented from 1996-2011, regarding the sperm samples of 20,433 men with an average age of 32, who suffered from fertility problems, the causes of which were classified as: sperm concentration, sperm count, sperm mobility, sperm vitality, sperm volume and sperm cell structure. 20,433 fertile men with similar characteristics served as a control group. Based on the research study, it emerged that men with poor sperm quality have a 3.3 fold increased risk of developing testicular cancer compared to fertile men. Men with a low sperm concentration have an 11.9 fold higher risk of developing the disease. Men with low sperm mobility have a 4.1 fold higher risk of developing the disease. Men with low sperm vitality have a 6.6 fold higher risk of developing the disease. Men with an irregular sperm cell structure have a 4.2 fold higher risk of developing the disease. When the researchers explored the risk of developing testicular cancer on a time axis, it emerged that it is higher during the first year following the time of diagnosis of the fertility problem, and decreases with time, for each of the parameters that was evaluated. In this study, the researchers reinforce the link between low sperm quality and a high risk of developing testicular cancer, a risk that changes, as mentioned, as the sperm quality changes, and even decreases with time, following the diagnosis of fertility problems. Researchers from five Scandinavian countries - Denmark, Finland, Iceland, Norway and Sweden, sought to investigate whether a family relationship with testicular cancer patients increases the risk of developing this disease. The researchers examined the data of 97,402 first-degree relatives of 21,254 testicular cancer patients diagnosed from 1995-2010, according to the Cancer Registry in Scandinavian countries. Upon analysis of the data, it emerges that first-degree relatives of testicular cancer patients are at higher risk of contracting testicular cancer, as opposed to the general population, and that there is a correspondence between the type of testicular cancer and the age of the patient at diagnosis, on the one hand, and the type of testicular cancer and the age of the family member who developed the disease, at diagnosis. Brothers of testicular cancer patients had a 4-fold higher risk of developing the disease as well, at the age when their sibling was diagnosed, compared to the general population (2.3% risk compared to 0.6% risk in the general population). A son of a man who developed testicular cancer had a 2-fold higher risk of developing testicular cancer compared to the general population. The same goes for a father of a testicular cancer patient. A twin brother of a testicular cancer patient had a 56% average risk of developing the disease, respective of the age at diagnosis. In cases where in one family two patients or more have been diagnosed with testicular cancer, their first-degree relatives' risk of developing the disease, at ages proximate to the ages at diagnosis, increased by 24-fold, and in later life - by 10-fold, compared to the general population. The man's risk of developing the disease within an age range in which his relative who developed the disease was diagnosed, was higher than the risk of developing the disease at an older or younger age. Such that, relatives of men who were diagnosed with testicular cancer between the ages of 30 and 59, had a 4.4-fold higher risk of developing the disease within this age range as well, compared to the general population. Whereas, their risk of developing the disease at a younger age than the age at which their relatives were diagnosed, was 3-fold higher compared to the general population. The researchers conclude that relatives: brothers, sons and fathers of men who developed testicular cancer, are at high risk of developing this disease at an age close to that of the patient diagnosed, compared to men with no family history. Broccoli and ovarian cancer - what is the link? Researchers from China sought to explore whether the consumption of cruciferous vegetables may reduce the risk of developing ovarian cancer. Cruciferous vegetables include broccoli, cauliflower, cabbage, bok choy, and others, and they contain glucosinolate which produces two chemical compounds: Isothiocyanate and Indole-3-carbinol (I3C) - the consumption of which has proven to potentially reduce the risk of developing various cancers. In order to examine their impact on the risk of developing ovarian cancer, the researchers conducted a meta-analysis - data collection and analysis of a wide variety of research studies published up to October 2013. Eight of these studies, encompassing 304,432 participants, corresponded with the research needs - three of which were conducted in North America, three in Europe, one in Asia and one in Australia. Based on the research results, it emerges that the consumption of cruciferous vegetables may potentially reduce the risk of developing ovarian cancer by 7%-13%. The higher the consumption of cruciferous vegetables, the lower the risk of developing the disease: women who consumed a large amount of cruciferous vegetables were at a 10% lower risk of developing ovarian cancer than women who consumed a small amount of cruciferous vegetables. There were no unequivocal data regarding the exact amounts of cruciferous vegetables consumed in both of these groups. The researchers underline that today, only a small number of factors that impact the risk of developing ovarian cancer are known, and the discovery of additional factors may help prevent the disease. What is the relationship between leisure time spent sitting, and the risk of developing ovarian cancer? In a first-of-its kind research study, researchers of the American Cancer Society sought to examine the relationship between prolonged time spent in sedentary behaviors on the one hand, and the development of cancer in general and specific types of cancer in particular, among women and men alike, on the other. The research study encompassed a cohort of 77,462 women and 69,260, from a comprehensive survey conducted from 1992-2009. 12,236 of the women and 18,555 of the men were diagnosed with different types of cancer. The participants were asked how many leisure hours they spent sitting on average over the past year, and how many leisure hours on average they devoted each week to physical activity, and other activities, such as gardening, household chores, shopping, etc. Subsequent to the processing of additional data, including Body Mass Index (BMI), sports activity and age of the respondents, a significant difference between women and men emerged: prolonged time spent in sedentary behaviors - over six hours of sitting per day, as opposed to less than 3 hours - increased risk of developing all types of cancers by 10%, solely among women. The most significant increase was observed in women's risk of developing ovarian cancer, invasive breast cancer and multiple myeloma: women who spent leisure time sitting, on a daily basis, for an average of six hours or more, had a 43% higher risk of developing ovarian cancer, 10% higher risk of developing invasive breast cancer and 65% higher risk of developing multiple myeloma, compared to women who sat less than three hours on average. Among men, no significant link emerged between the number of leisure hours spent sitting and the risk of developing different types of cancers. The researchers raise the hypothesis that one of the causes of the link between a sedentary lifestyle and increased risk of developing cancer, may be attributed to the fact that many leisure hours spent sitting may come at the expense of engaging in physical activity, thereby slowing down metabolic activity, and causing obesity and Type 2 Diabetes, which, in turn, increase the risk of developing different types of cancers. The research findings support the guidelines recommending a reduction in the time spent sitting to as great an extent as possible, and engaging in regular physical activity, in order to reduce the risk of cancer. The researchers emphasize that in order to understand the difference between women and men, in this context, additional studies must be conducted.